AFTER FOUR YEARS, LOSING A FALLOPIAN TUBE TO PREGNANCY, TWO FAILED IVFS, A MISCARRIAGE, LOSING ONE MORE FALLOPIAN TUBE, RENAE TURNS TO CIRCLE + BLOOM’S IVF/IUI MIND+BODY PROGRAM FOR HELP, BUT LAST AND FINAL IVF FAILS. HERE IS HER STORY. I hope you are having a wonderful day! It has taken me some time to heal but I have been wanting to write you for a while now. My IVF failed again. The reason for writing to you is I want to let you know, again, how much you have helped me. A little background if I may….. My only biological child, Shawn 7, is a child from a broken and abusive marriage. I am so proud of the fact that I had the strength to leave because I hear so many do not! My son was only 1 years old when I became a single mom. I NEVER thought I would re marry. I did a year later to a wonderful, smart, caring and kind man. No questions asked, he has played the roll of Shawn’s dad. About a year into the marriage, 5 years now, we decided to have our own family. Shawn was so easy to conceive, I was 32 years old at the time. One year went by…nothing. We tried Chlomid, got pregnant but it was a tubal pregnancy and I lost my first tube. After that, we tried IVF. It was insane and I could not believe that we could not get pregnant, it failed. Then I got pregnant on my own, it failed. Second round of IVF…failed. At that point, 1 year ago, we lost all hope, I got pregnant the very next month but to once again learn it is in my tube and I lost that one as well. Four years, a ton of blood, sweat and tears and I am now a 40 year old woman with no tubes. I looked at my husband and I said one more time. This was last November. I did ask him to please get us some help. He went to a wonderful therapist and came back with excitement and hope. But…this is where you come into play. He had written down on a crumbled piece of paper, like a man…ha, circleandbloom. He said this will connect us…this will help me understand and help you get through this journey. I have to say….your recordings exceeded ALL of my expectations. Every night before bed we would lay and listen to the recording. It connected us, it saved me from loosing my mind. I thought for sure this was it, I will be pregnant. Well, sadly, very sadly, it did not work. I found out Christmas day and cried for a month straight. So I got rid of the sonogram I had kept by my bedside, said a prayer and listened to your recording. I don’t know which one I hit but it discussed how much of a selfless act I was performing. Hearing that reminded me there are others in the world that struggle and I have done something amazing. I then cried a bit more and erased your program. I miss it, I got used to it! I want to tell you what you do is simply amazing! I am sure the stories and hard work is difficult at times but like circleandbloom tells us that we are performing a selfless task…so are you! I thank you in advance for reading my e-mail. It is helping me with closure. Although I would try again, we have exceeded our limit on what we will spend. 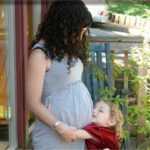 I have difficult nights and cringe whenever I see a new baby or a pregnant mom. I feel everyone around me gets to be pregnant but me. Currently my best friend and sister in law is pregnant. You don’t know me but you helped me strive, fail and heal. I hope it is rewarding! I will never be the same not being able to give my husband his own child, but for the rest of my life I will think of a difficult journey and a tragedy that you helped me overcome! I wish you all the best!